Can you learn from books ? There are problems with many available instruction books from places like Amazon, Shar and others. Did you ever buy an instruction book that contained some legitimate music but not much in the way of new information? Perhaps the author(s) could have explained special things about the style or give hints about difficult passages ? Then too, the people who assemble the books are perhaps better musicians than authors and not teachers. If you get a book with almost all music, all you will have accomplished is a test of your sight reading without a valuable jump in your musical education. So ........ why bother to say all that ? There is actually one book I have ever bought which should be a model for all others. 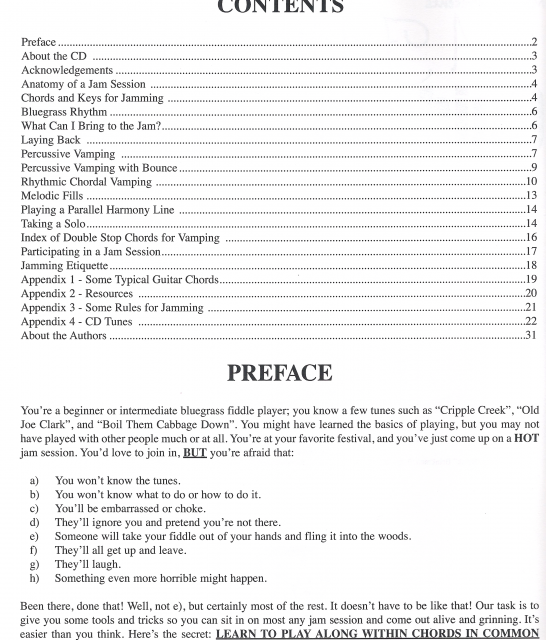 The author spends much time on clear instruction and only enough music is included to make his point. I would say the book is "intermediate" in difficulty but even a beginner can benefit with the tempo backed off. 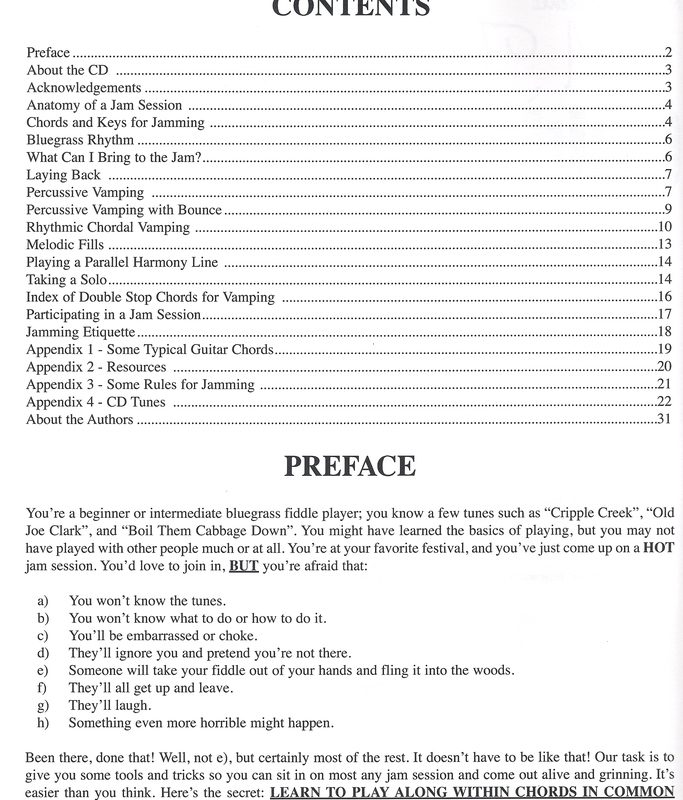 The book is "Fiddler Player's Guide to Jamming". Mel Bay. someone will take your fiddle and fling it in the woods LOL, very funny !! we used to tease each other and say " that was great, now do us a favor and bust that thing over a stump"
That looks like a really good book, based on the index. There are some really good ones out there, mixed in with thousands of more or less worthless ones. I think, I'll add that one to my collection though.